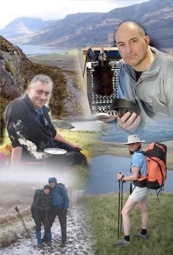 About Us – The Outdoors Station "UA-92084833-1"
The Uk’s longest running award winning podcast dedicated to the self powered traveler. Since its inception in 2005 The Outdoors Station has been providing free audio and video podcast entertainment, information, trip reports and reviews specifically with t he backpacker, traveler, cyclist, paddler in mind. Originally the the core message was to support the ‘lightweight’ approach to equipment, how to use it and the long term benefits. But along the way I met so many normal people (non celebrities) undertaking challenges and adventures that the podcast took a new direction, sharing the love, appreciation and education for the great outdoors. 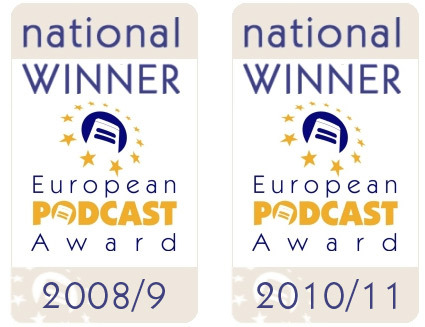 For two years running we won the European Podcast Awards in 2009 and 2010. Our audience is world-wide and the passion and enthusiasm for the subject has no boundaries. Total audio podcasts produced since 2005 is currently 478, which have been downloaded (to date) 13,843,769 times. Average download per episode 23,961. It would appear that the outdoor enthusiast is hungry for information. Much more information! Programs presented in a fun practical style that tell them more about products, how they can be used and general outdoor inspiration are in great demand. This station has therefore been created as a central hub of new media information in the form of podcasts, to allow the industry to talk directly to the end user, and explain all relevant aspects of their products. Plus a series of independent programs for entertainment thrown in! Everyone involved with the site is doing it to share the passion, knowledge and inspiration. We are not doing it for financial gain so it is all free for the end user to view, to incorporate in their blog or website and to pass around! Imagine having an on-line information station dedicated to the outdoors at your fingertips? Somewhere you can visit for inspiration, information and entertainment at any time of the day or night, from anywhere in the world and select programmes to suit your mood and taste! Well, now you can at The Outdoors Station. A UK based independent creator of free on-line audio and video programmes, catering for outdoor enthusiasts. We have thousands of listeners around the world interested in all aspects of outdoor life. They enjoy our wide mix of lifestyle and activity news, interviews at all levels, equipment reviews and sharing the thrills and adventures of others. We talk to anyone with the same passion for the outdoors and this includes a wide variety of activities. Be it – skiing, hiking, boating, walking, kayaking, canoeing, biking, adventure travel, climbing, equestrian activities and running. 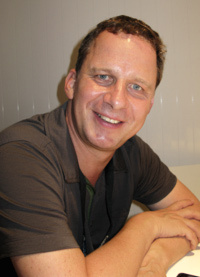 Plus of course, we get the latest news and information from exhibitions, the outdoor trade, the media, bloggers and other podcasters around the world. 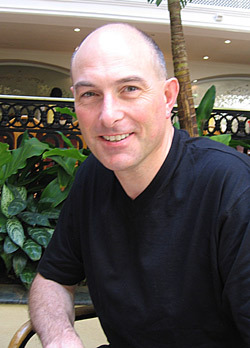 The Outdoors Station was started back in mid 2005 as the popular words ‘Podcasts’, ‘Listen Again’ and ‘Portable Media Players’ started to appear on every kind of media delivery service. Why can’t the Outdoors World have their own information resource and common place and share passion and useful information with a view to enjoying their outdoor activities more! All interests are welcome, land sea or air based. Manufacturers and distributors have information to share about products or services and are often frustrated by the current delivery options. Media is expensive to produce and most companies are usually already working to capacity, which means they can’t spend time exploring and developing new communication channels. Enthusiasts also love to share. Our stories may not seem impressive to us, but there’s always someone who is inspired by what they hear. How problems are overcome, and enjoyment delivered. Outdoor people from all over the world are wanting more. More information, more facts and more understanding behind the products or equipment they may be considering, or even already using. They are a technically savvy audience and have all the facilities to access, store and review information presented using new media. All they need is a PC, broadband and if they want to take it away with them, a portable media player. So why not bring bo th ends of this spectrum together AND add a few more benefits which will spice up the mix? The current podcast team consists of Bob Cartwright, Rose Cartwright, Andy Howell, Beth Cartwright, Roman Ackl, David Lintern and Shirley Worral. Many late nights are spent bringing you this content so if you enjoy it, do let us know so we can add your comments to our listeners page.